Long-serving Labour MP and former cabinet minister Warren Freer has died at the age of 92. Warren Freer was a Member of Parliament for 34 years, and the number three ranked minister in the Third Labour Government (1972 – 1975), first led by Norman Kirk and later Bill Rowling. He was well-known for promoting links with Communist China and was the first western politician to venture into the country. In 1955 Warren Freer spent five months travelling in Asia, including one month in China. Freer was on a tour of Asian markets looking for openings for New Zealand manufactured goods when he met an Israeli diplomat, David Hacohen, in Rangoon. Hacohen had just returned from China and suggested that Freer might find a visit to this huge market worthwhile. Hakin used his influence with Chinese officials to obtain visas for Freer and his wife. When told of Freer’s intention to visit China, Labour Party leader Walter Nash ordered the backbencher to return home. But the then Prime Minister Sidney Holland said a visit to China – even by a member of the opposition – was too good an opportunity to miss. The Freers crossed the border from Hong Kong at Lo Wu. Chinese officials met the couple in Canton where they expressed a fear that Freer, a former journalist, might write “a pack of lies” about China. Freer agreed to tell the Chinese government what – if anything – he intended to write before leaving China. At that point the Freers became guests of the Chinese government. 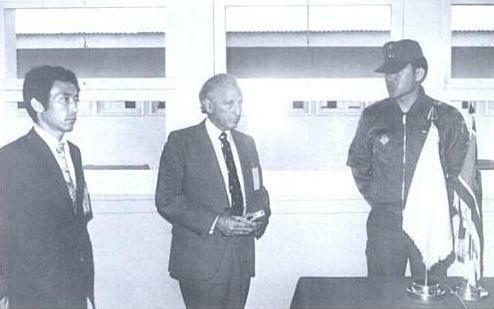 Warren Freer at the Joint Security Area at Panmunjom. Freer visited both Koreas, including North Korea twice. Freer also visited North Korea on a number of occasions. During late 1979 an NZ-DPRK Society delegation to the North was received by the DPRK Deputy Prime Minister. In an article published after the visit the delegation said that the country’s industrial development was “remarkable”, and the degree of equality “most impressive”. North Korea was “very delighted” with such coverage. After visiting, Freer said there were “encouraging” prospects of trade with the North, and remarked that economic conditions were much better than he had expected. According to North Korea, Freer visited again during July 1980. Freer wrote in his memoirs that he was surprised at the limited knowledge that Chinese officials had on North Korea, recalling an occasion during which the Minister for Foreign Trade, Li Chiang, assembled a number of his senior officers to hear Freer’s comments about their neighbor. As the Minister of Trade and Industry and of Energy Resources, he drew up the Maui gas agreement with the oil companies in New Zealand’s first billion dollar project. And he pushed through legislation on maximum retail prices in an attempt to curb rising prices, despite heavy opposition from the grocery trade. After retiring from Parliament in 1981, he moved to Australia’s Gold Coast but later returned to New Zealand. He has been succeeded in his Mount Albert electorate by two Labour Party leaders, Helen Clark and David Shearer. In a statement on Saturday, Mr Shearer said Warren Freer was an honourable bloke who stuck to his guns. He expressed condolences to Mr Freer’s family. Warren Freer is survived by his wife and two sons. Source(s): A Lifetime in Politics: The Memoirs of Warren Freer (VUW Press), New Zealand Independent Business Weekly, Radio New Zealand, DPR-Korea New Zealand. Image 1: Warren Wilfred Freer, possibly in 1947, when he entered Parliament. Photograph taken by S P Andrew Ltd. Image 2: A Lifetime in Politics: The Memoirs of Warren Freer (VUW Press). Tags: new zealand china relations, new zealand labour party, new zealand north korea relations, trade | Permalink.